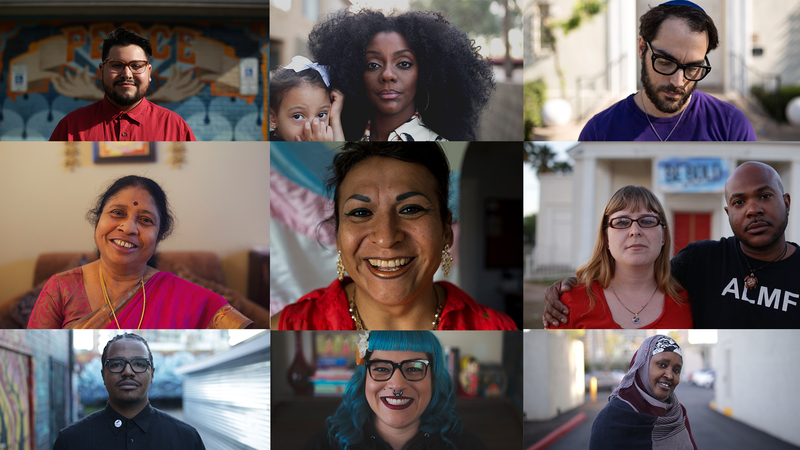 This film is community organized and crowdfunded. Every dollar helps us reach more inclusive hearts with our message. We are reaching close to 2400 people per day. Help us reach a million. Please share this project with all of your friends. We are working hard to raise $50,000 for our national launch of the film through film festivals and unique community events. If you are interested in getting involved with our events or if you wish to host a fundraiser for the film please contact us at definingdiscriminationfilm@gmail.com . We will be posting updates throughout the next 50 days for this fundraiser. We will also be adding bonuses and surprise meet and greets to each week for our highest paying funders. Bonuses such as private screenings with our directors before the film hits the theaters this Winter, or maybe a private chef cooked dinner with our team, or even exclusive downloads of our original soundtrack before anyone else gets to hear it. 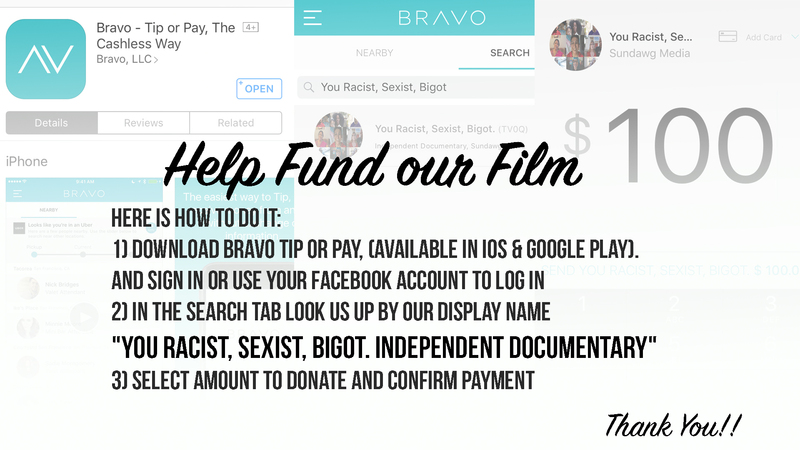 All you have to do is donate by clicking the above Donate Button or Use the Bravo Tip or Pay app and Search for You Racist, Sexist, Bigot. Together We can be the positive change. Check out this recap video from our sold out screenings in April at the Phoenix Film Festival and the Atlanta Independent Film Festival.